Book cover by Rafael Fitzgerald. 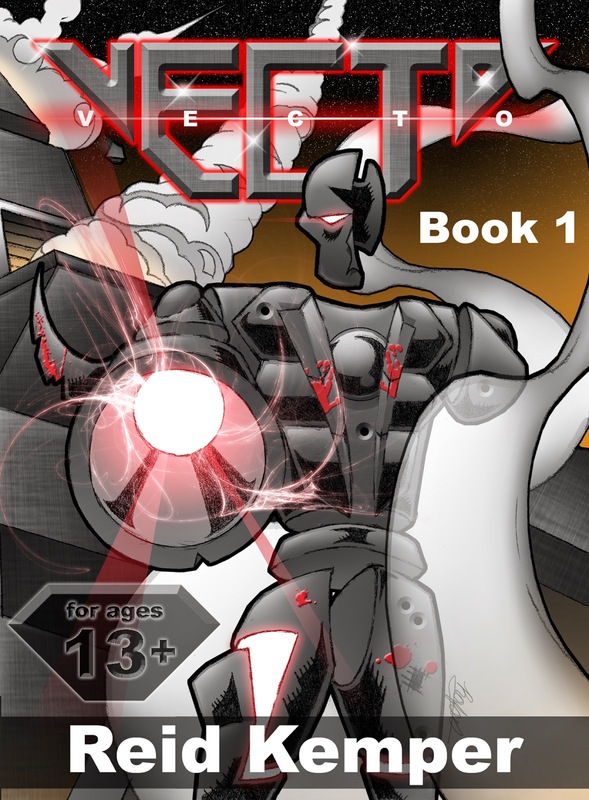 I was interviewed by fellow author and blogger James Kresnik about my VECTO light novel and BitNovel format. Check out the interview on his returnnovel.com blog here. In the interview, I go over what motivates me, why I call VECTO a light novel, and what a BitNovel is, among other things. "A light novel (ライトノベル raito noberu?) is a style of Japanese novel primarily targeting middle and high school students (young adult demographic). "Light novel" is a wasei-eigo, or a Japanese term formed from words in the English language. Such short, light novels are often called ranobe (ラノベ?) or LN in the West. They are typically not more than 40,000–50,000 words long (the shorter ones being equivalent to a novella in US publishing terms), rarely exceed 200 pages, often have dense publishing schedules, are usually published in bunkobon size, and are often illustrated. The text is often serialized in anthology magazines before collection in book form." Basically, light novels are short, fun, character-driven stories that are very popular in Japan. There are a few English speaking writers such as James Kresnik and me who are using the light novel format (my story so happened to match the style). Hopeful, more light novels will originate in English instead of having to be translated. Now about BitNovels. I coined that term to represent stories that are released in small parts with mobile readers in mind. I'm posting a "bit" of my story on this blog ever Saturday at 10 a.m., but you can read more of my story on Wattpad here. Also, you can check out Kresnik's light novel titled Return - The Survivalists here and follow him on Twitter @JamesKresnik1. Do you like the interview but want to know more? Well you get to be the interviewer this time. Comment below with questions you have, and I'll do my best in answering them. It's QA time! A great interview Reid! Very insightful.